They say that encouragement is oxygen to the soul. Cup of Joe is a non-profit organization that exists to inspire and encourage others through written and spoken word. Cup of Joe began as a column in a national monthly newsletter for Carman Ministries in 1997. A digital version was launched in 2007, featuring several hundred more articles; some that have been compiled in his devotional book Cup of Joe. Joe began managing non-profits as Executive Director of Carman Ministries, Inc. in the early 80's. In 2000, after more than 1000 live events and multiple achievements with Carman, he launched the Dreams2Destiny Center, Inc. which helped people identify their talents and calling. In 2002 he founded The Landing Community Church, serving as the Lead Pastor until June of 2015. Presently he works at Gateway Church in Southlake, Texas. 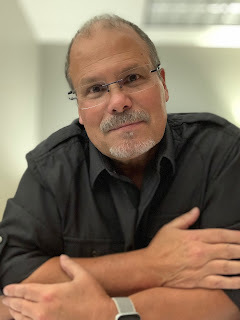 Author of seven books and father of three grown children, Joe continues helping churches and organizations clarify their focus, enlarge their vision and pursue their dreams. May your cup(of joe) be filled to overflowing! “Joe is one of the most inspirational people I know. He has a wonderful way of putting that talent into Cup of Joe . . . to keep us all going 24/7! Joe Jones has a wonderful grasp on applying faith in everyday situations in life. He is on my short list to help me gain perspective when things don't seem to make sense. I always leave our conversations with a Kingdom perspective. I can't think of a better way to start my day than by putting first the Kingdom by reading from Joe's insight. Joseph Jones is one of the most inspirational people I've ever been around. I've seen him exude grace through difficult circumstances, and his wisdom is truly appreciated. If you are ever in need of someone that will help you find your way through a tough situation, you can count on Joe. Joe is a creative thinker and brings key insight into any development. His "Dreams to Destiny" work has inspired many to become all they were created to be. When I need a creative solution, I can count on Joe.